The kitchen should have enough space to allow for separation of the different areas. The raw food preparation area and the cooking area should be some distance from each other. A meter of space or more should be maintained between all the work surfaces. For the area where workers are working back to back, 1.6 meters of space should be maintained. The free space should allow for easy cleaning and disinfection of the hand washing and toilet facility. The layout should also allow for easy maintenance of the facilities. The facility should also be designed to stop the spread of airborne contaminants. In short, the ventilation system should not interact with the premises for the food preparation. The facility should be designed in a way that prevents the build-up of toxic materials, dirt, and the shedding of particles into the food. The facility needs to be constructed with materials that reduce the build-up of mold. A good example of this material is the use of ceramic tiles. The hand washing and toilet facilities need to be protected against the entry of pests. Controls of pests need to be a major priority for any commercial facility. The law is quite clear on the minimum number of hand washing and toilet facilities on each commercial property. For ladies, there should be a water closet for every twenty-five people. For the Wash Hand Basin, there should be one for every twenty-five people. After one hundred, the figure comes in at one for every hundred people. For gents, there needs to be a urinal for every twenty-five men. The water closets should be one for every one hundred gents. After four hundred men, the figure is one for every two hundred and fifty of them. For the wash hand basins, commercial premises should maintain one for every hundred gents. The figure goes to one for every hundred gents after a hundred men. The law requires that new buildings provide facilities for the disabled. These standards assume that the facility serves an equal number of men and women. Unlicensed properties can have just a single unisex toilet and a single hand wash basin. The WHBs must have both hot and cold water. The plumbing must be maintained in working condition at all times. The standards apply to all new buildings and ones being converted into commercial facilities. For properties that are undergoing significant improvements, these guidelines should be used as the basis for any discussions. The guidelines will be used for all commercial refreshment areas. It is irrespective of the food they serve, proximity to public hand washing and toilet facilities or the number of covers. A toilet must never have a door that directly connects it to the food preparation area. A space such as a lobby should connect the toilet to the food handling area. 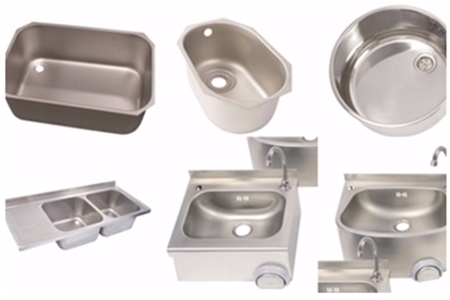 Wash hand basins must be available in the food preparation area in adequate numbers. There should be wash hand basins clearly designated as use for hand washing only. 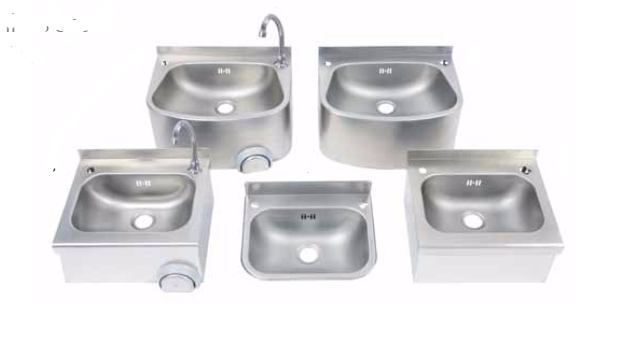 In addition, the washbasins should be placed in a way that food handlers can access them with ease. For instance, they can be located near the entrance or the area between the vegetable handling and meat handling area. If needed, a sink used only for washing food should be provided. The sinks have to be properly drained and have a supply of both cold and hot water. It should contain a trapped waste pipe. Natural openings such as windows or vents must be provided in the food area. The ventilation should be provided for both the cooking and the cleaning area. It ensures contaminants are extracted and do not saturate the air with pathogens. A toilet must have working ventilation at all times. It can either be natural or mechanical vents. The washing area should have enough lighting. It can be natural or artificial. It allows the employees to see if they are getting rid of all the dirt. It also ensures that they can determine if the premises are clean. A plastic diffuser has to be installed on fluorescent tubes placed over the washbasins in the cleaning area. As a result, if the tube breaks, glass fragments do not fall into the food. The drainage for the toilets and hand washing facilities has to fulfill its purpose adequately. The drainage system must reduce the risk of contaminating the food at all times. All the water pipes for the drainage should have water traps. It keeps the odor from coming back into the food area. A grease trap would also be a requirement. Skin care should be an issue for your business if employees are in constant contact with the food. The food industry experiences almost double the amount of eczema as in other industries. It can be quite costly, which is detrimental to a small business. Dermatitis could cause an employee to be permanently laid off, which is quite expensive. You should ensure that employees do not come into direct contact with cleaning products or the food. Make use of tongs to handle food instead of hands. Purchase a dishwasher instead of the use of hands. Install a food processor to chop and mix up food. Avoiding contact may not be possible at all times. Ensure employees use certified gloves when handling cleaning products or during cleaning activities. Ensure that the employees clean their hands after they use gloves. In addition, they should avoid using latex gloves. Only disposable gloves should be used. Ensure that disposable paper towels are available for them to dry their hands after cleaning food or utensils. Employees should be provided with moisturizing creams that are fragrance-free and free of nut oil. It helps them to replace all the natural oils lost during the day at work. You must ensure that employees know when to check for early signs of eczema such itching and dryness. When it is spotted early, it can be stopped in just a few days or a few weeks. Employees need to know all about these requirements. A training session every few months helps to keep everyone aware. It can significantly improve your bottom line. You can continue working in the kitchen even after dermatitis is detected as long as you go for treatment, and the cause is identified and eliminated. Besides cleaning chemicals, some foods and excessive contact with water are other leading causes of dermatitis in the kitchen. Moisturizers placed in dispensers are an effective way of preventing eczema as long as they are in dispensers to avoid cross contamination.